Between 60-80% of active individuals will suffer from low back pain at least once in their lives. I was able to have the opportunity to treat several patients that suffered from chronic non-specific low back pain. Some patients had relief of their pain after treatment while others didn’t have the same results. I wanted to look into the research and treatments that are now being suggested as the best form of treatments for this type of pain. The study by Balthazard et al looked at the use of manual therapy and its immediate affect on pain levels, as well as comparing manual therapy in combination with exercise and its affect on long-term pain relief. These treatments were assessed by using outcome measures looking specifically at muscle endurance of the back and abdominal musculature, a questionnaire related to how fearful patients were to perform certain work or activities due to their pain, another questionnaire that assesses how low back pain affects a person’s sitting, standing, walking, lifting, sleeping, sexual life, social life, etc. Lastly, it looked at pain based off of a scale where the number 1 means “no pain” and the number 10 means “maximum intensity of pain”. Manual therapy consisted of small oscillating movements to certain segments of a patient’s spine while they are lying on their stomach, a hold and relax technique where the patient will tighten their muscles and then relax on the therapists verbal cues, and a manipulation, where most patient’s describe this treatment as having their back “popped”. The exercises the patients performed consisted of pelvic tilts (rolling pelvis forward and backwards, lateral flexion (bending from the right side and then the left side), transverse abdominus and multifidus holds (drawing your belly button into your spine without having a release of the contraction), and strengthening of the back musculature with a theraband. The results showed a relief from pain when the patient received manual therapy both immediately and long term, however, there wasn’t sufficient evidence that showed a change in endurance in the musculature of the back and abdominals, a change in fear with performing work or activities due to pain, and no reported change in how pain affected walking, standing, sitting, sexual life, social life, etc. The idea behind this article is very strong. It was good to see the comparison of a group receiving the treatment while the other group received a “fake” form of treatment. This allows the study to really pin point if manual therapy was the beneficial part of treatment versus it coming from something else, such as, exercise alone. One weakness of this article was the small sample size of 42 patients. 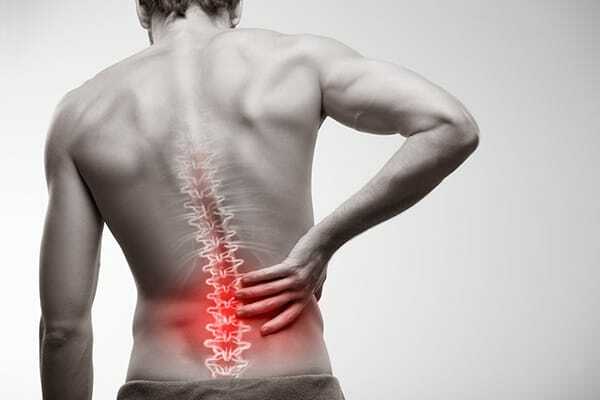 The inclusion criteria, which allows a patient to be part of the study, was very strict which doesn’t allow this article to be a good representation of all patients suffering from low back pain. It was difficult to follow the exact specifics of the exercises, when they were progressed, and what the patients were doing on specific days. The results were difficult to follow and interpret based off of the several outcome measures used. Manual therapy in combination with exercises can be beneficial in the treatment of low back pain. It is thought that manual therapy provides an immediate pain relieving affect that allows the patient to perform their exercises more accurately. Balthazard P, de Goumoens P, Rivier G, Demeulenaere P, Ballabeni P, Deriaz O. Manual therapy followed by specific active exercises versus a placebo followed by specific active exercises on the improvement of functional disability in patients with chronic non specific low back pain: A randomized controlled trial. BMC Musculoskelet Disord. 2012;13:162-2474-13-162. My brother fell and cracked a vertebrae. He has osteoporosis and was given a brace but it doesn’t seem to be helping. Is there any treatment for this?